On this episode of The Originals, Cami speaks the truth about Klaus and we welcome back a familiar face. 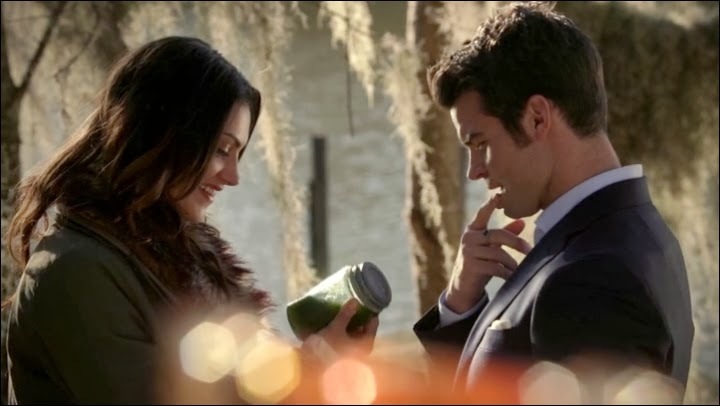 At the beginning of the episode Elijah brings Cami to Klaus’ bedside as she’s the one person who he wouldn’t instantly kill after Elijah removes the dagger--it was a nice try. Even if Klaus decided to use the time trying to convince her he was right I have to hope some of what she said got through. Most importantly the damning statement that Klaus became his father, and would be no better than Mikael if he killed Rebekah. Although the episode had a nice side by side later on to further prove the point, I didn’t need any convincing that what she said was true as soon as it left her lips. 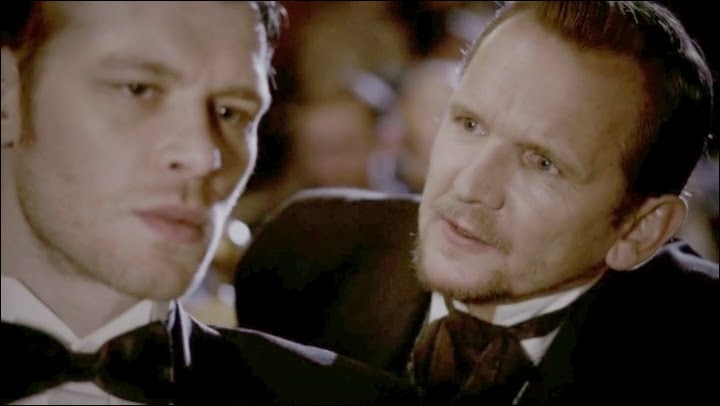 Klaus may be in denial about it, but there is no denying he uses many of Mikael’s same tactics against his siblings. Fingers crossed that having the three of them trapped in the cemetery the next episode will lead to a personal revelation in Klaus, one that sticks. What was especially great about this episode was getting a chance to see more of Mikael, everything from how he expressed his views to truly seeing him in action. Mikeal was all bark and no bite on The Vampire Diaries, hell the pesky teenagers killed more Originals than he did on there. This episode certainly showed us why the siblings ran for as long as they did from the terror he wrought as he pursued them. Sebastian Roche really brought so much to his character in this episode that I can’t help but hope that somehow in some flashback we’ll be seeing him again. Or perhaps there’s a resurrection in the works which in a supernatural show you can’t ever really count that out. One person who seemingly won’t be getting any more resurrections would be Celeste. Blinded by her pursuit of revenge she failed to realize she wasn’t as protected as she believed herself to be. I’m actually surprised that Genevieve is the last witch standing and that they didn’t drag out Celeste’s story more. Looking back at The Vampire Diaries track record I shouldn’t be that surprised however that the white witch outlived the black witch. In fact I can’t help but wonder how long Genevieve might stick around especially considering that Davina finally came back tonight. That’s right it seems she was the one linked to Celeste’s death as Davina revives in Marcel’s arms at the end of the episode. So with Davina back in action who is going to be fighting for the return of the last girl left to be resurrected from the Harvest, the one who doesn’t even have a name? I somehow get the feeling she’s going to be forgotten unless she does need to come back in order to restore the witch’s power fully as Elijah seemed to imply earlier tonight when it came to Celeste possibly jumping ship. Regardless, I’m very excited to have Davina back on the show, we’ve missed you almost as much as Marcel has! It also seems that come the next full moon the curse on Hayley’s family can be broken. Elijah and Celeste both assumed this would lead to Hayley staying with them and never laying eyes on the Original siblings again. But considering she’s still carrying Klaus’ child it’s not going to be that easy. It really feels like the werewolf story is the next we’re going to be moving onto as a main focus of the show which would include the line descended from Klaus’ real father. So perhaps his getting to explore more of that side of himself in the future could even lead to the introduction of Nik’s real father. Who hopefully is not as murderous as the other one.